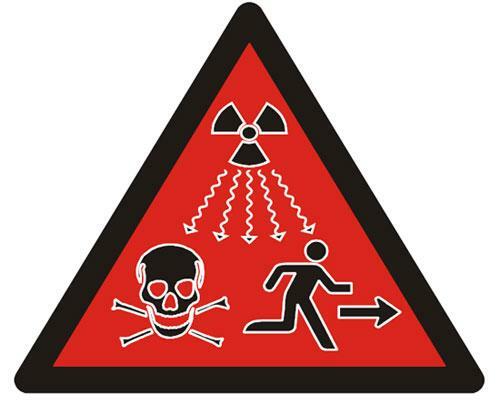 The International Atomic Energy Agency and the International Organization for Standardization want you to know when it’s time to panic by adding a person running and a skull and crossbones to its radiation warning symbol. The symbol will only be on the inside of dangerous things. In other words if you open that Oregon Scientific Atomic Clock you bought on the web the other week and see this symbol — RUN!